The second annual State of the World's Plants symposium took place at the Royal Botanic Gardens, Kew, on the 25th-26th May. A hot, sunny spell spread out over London just in time for the second annual State of the World's Plants symposium 2017, suitably held at the Royal Botanic Gardens at Kew, one of the most beautiful places in London, not to mention one of the most scientifically valuable. The meeting maintained the same high standard of invited talks and excellent posters set by last year's launch symposium. The schedule followed the same format as the annual report, including sessions on invasive plants, immediate extinction risks, medicinal plants, fire, as well as this year's country focus on Madagascar. A particularly high point was the paper on the African herbal pharmacopoeia by the president of Mauritius, Ameenah Gurib-Fakim, a former biodiversity scientist and organic chemist. Not only a scientifically literate president, but one who holds her own among some of the world's leading plant scientists. Now that's impressive. In between talks it was great to have a chance to explore the beauties of Kew in the hot sunshine, and particularly nice to see not only so many people but also bees and butterflies enjoying the weather - Phil Stevenson (Kew) reminded us that the State of the World's Plants is highly dependent on the State of the World's Pollinators. 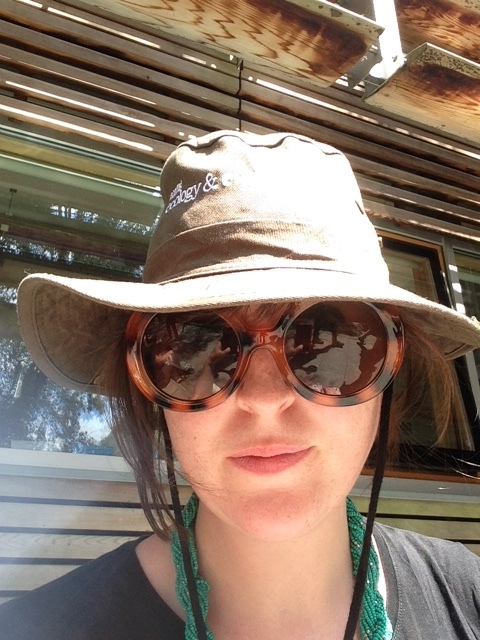 We're looking forward to State of the World's Plants 2018, and hope the weather continues to favour the symposium as well as the wearing of extremely dashing Nature Ecology & Evolution field hats - keep your eye out for them at conferences throughout the summer!